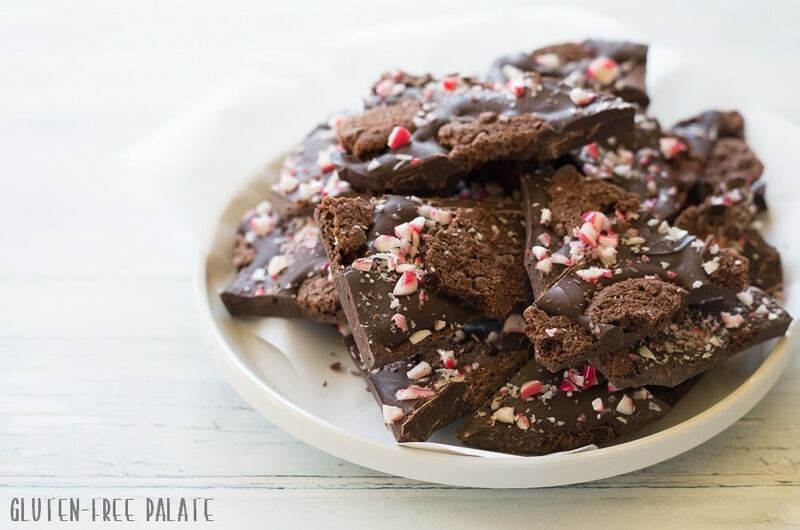 Gluten-Free Peppermint Cookie Bark that is not only Gluten-Free it is Dairy-Free, Top 8 Free, and oh-so-delicious! 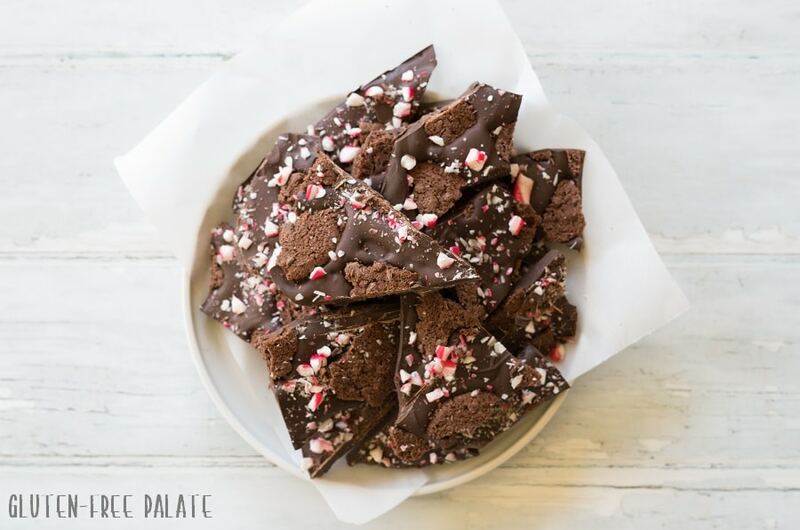 You are going to love this gluten-free Christmas bark! 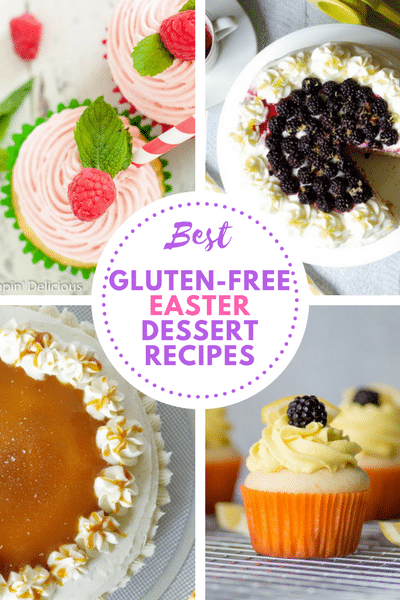 I’m all about easy desserts, especially during the holiday season. This Peppermint Cookie Bark can’t get any easier. Not only does it make a fantastic treat to bring to holiday parties, but it also doubles as a food gift. There are only three ingredients in this Peppermint Cookie Bark (yes, only three) and it can be ready to serve in less than 30 minutes (includes chill time). 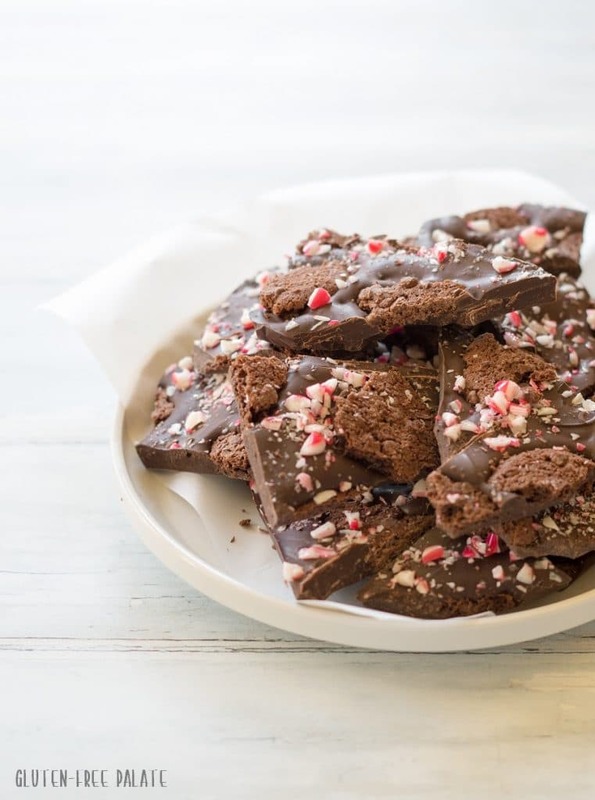 You can mix up the cookies and types of chocolate in this gluten-free peppermint bark, and make it just the way you want it. My youngest daughter started middle school this year and she’s had a hard time finding her tribe. She’s met a lot of nice kids, but she’s still trying to figure out where she truly fits in. We’ve all been there. This year I asked my daughter if she’d like to have a little holiday party and invite her class mates. This would give her the chance to get to know them better. Can I use white chocolate in this gluten-free cookie bark? Yes, you can use your chocolate of choice. Enjoy life foods doesn’t make white chocolate (yet) but I am sure you can find a brand that works for you. Line a small baking sheet with parchment paper; set aside. Break cookies into pieces; set aside. Crush candy canes (I put them in a zip lock back and hit them with a rolling pin. It sounds more hostile than it really is). In a large microwaveable safe bowl (or in a double boiler) heat chocolate 30 seconds at a time until melted. Stir in between each 30 second interval. Spread melted chocolate onto parchment lined baking sheet. Sprinkle cookies over the top, and press them down to help them stick. Sprinkle crushed candy canes over any exposed chocolate. Chill for 25 minutes, or until set. 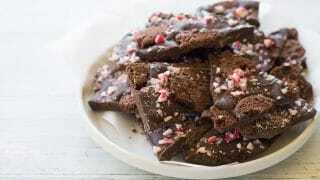 Once set, break the peppermint cookie bark into smaller pieces, or bring to room temperature and cut it with a sharp knife. We put together invitations and she handed them out at school. Then we made a list of all the treats and activities that she’d like to have at her party. 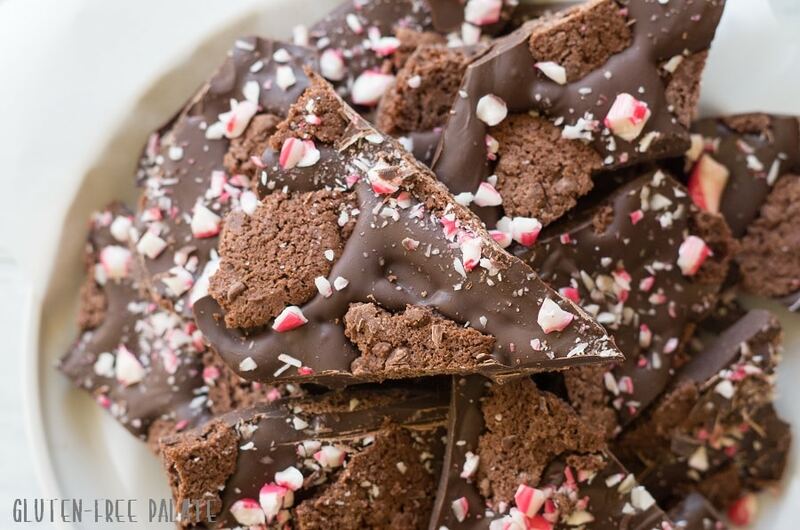 This Peppermint Cookie Bark is one of the treats she is serving. She’s also serving Reindeer Cookie Pops and Gluten-Free Vanilla Cupcakes. Don’t worry, I’m going to have non-sweets too. But the sweets were the first to be planned. I’m hoping she’ll have a great time and make some new friends. I also hope to send all the leftovers home with her classmates (probably in goodie bags) so that I don’t snack on the rest. Have you ever made cookie bark? 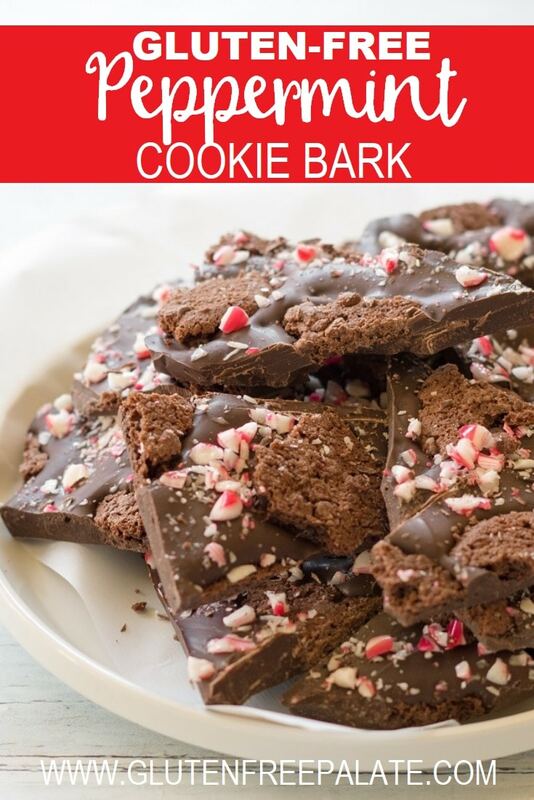 If you are looking for a cookie bark with a little bit of a salty bite to it check out Vegetarian Mamma’s Old Fashioned Christmas Bark. 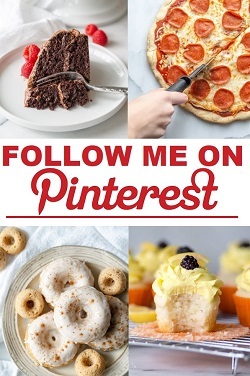 If you’re looking for other peppermint flavored treats, check out my Gluten-Free Peppermint Dessert Shots and my Gluten-Free White Peppermint Cupcakes. I want some of this right now! Love the idea of using brownies in bark! Love how you made these look super fancy and yet they are so easy to do! I can feel my jeans getting tighter just reading about this goodie! Peppermint and chocolate are the ultimate dessert flavor combination. I think I now have enough bark recipes to create some terrific gift bags. Thanks! I hope that the party goes well! 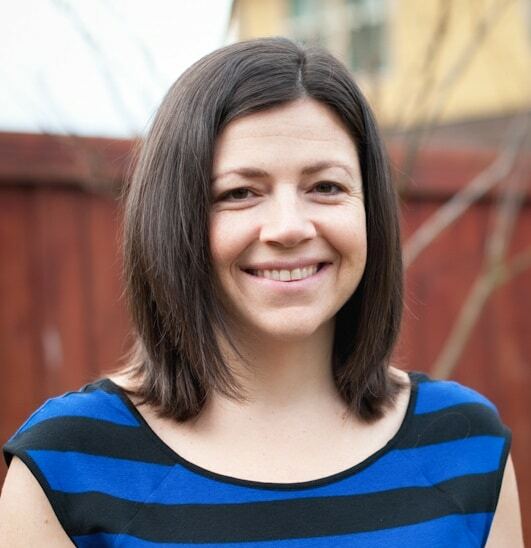 That is such a sweet idea to host something to help her find a niche – dang it’s hard at that age. Thank you so much Kortney! It really is hard, especially since she has food allergies/intolerance. She has been made fun of in the past. Looks so good and so easy I’m adding this to the list for my little elves, I mean my girls, to make!! Oh my gosh, this looks amazing! I want some right now!! I have been drooling over this for two days now since I saw it on FB. It looks amazing! Oh no, you didn’t just do this. Geez, now I’m going to have to make this with the leftover candy canes pieces I have.